10 hours long. Price is $385 per person in a party of two. For larger parties, please see price table below. 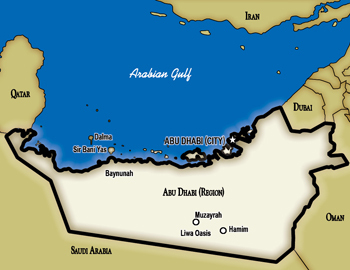 Full-day private Abu Dhabi shore excursion with pick-up and drop-off at Dubai port. En route from Dubai we will pass the Jebel Ali Port, the largest man-made port in the world and home to the thriving Jebel Ali Free Zone. In Abu Dhabi, your first stop will be the Sheikh Zayed Grand Mosque, considered the greatest architectural treasure of contemporary UAE society, and one of the most beautiful mosques in the world. It was commissioned by the late president HH Sheikh Zayed bin Sultan Al Nahyan, who is fondly thought of as the father of the UAE. Continue to the Women’s Handicraft Center for a display of the handicrafts made by the local women. Then drive on the corniche road, with photo stops at the breakwater and the Emirates Palace. On the way back to Dubai, we’ll drive through Yas Island for a photo stop at the Formula 1 Circuit and the famous Ferrari World. Then, you will be transferred back to the port in Dubai to rejoin your cruise.